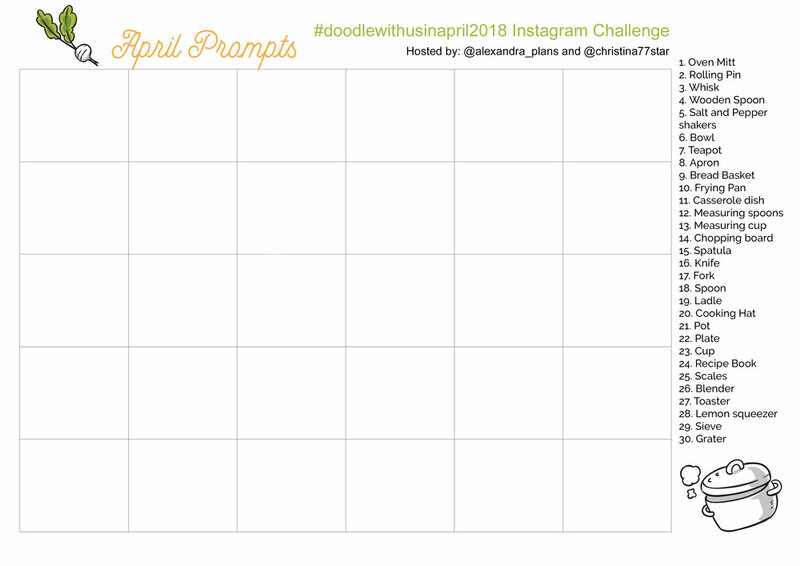 It's the #doodlewithusinapril2018 Instagram Challenge created by me and Alexandra (from @alexandra_plans). It's going to be 30 days of doodles that will hopefully get you to be creative and have fun! The theme of April's prompts is 'Cooking'. I seriously can't wait to start drawing! If you decide to follow this way, you'll have to create a table with 5x6 boxes and you shouldn't add the days on the top. You can also make the boxes and dates in pencil, if you don't want the lines to obscure the end result. It's totally up to you. Of course, if you prefer to draw the doodles in the traditional way, that's absolutely fine as well. The important thing is to have fun! You can also download a free printable with the daily prompts here. Follow me (Christina) @christina77star and Alexandra @alexandra_plans over on Instagram. Draw something according to the day's prompt, take a photo of it, and share it with us on Instagram. 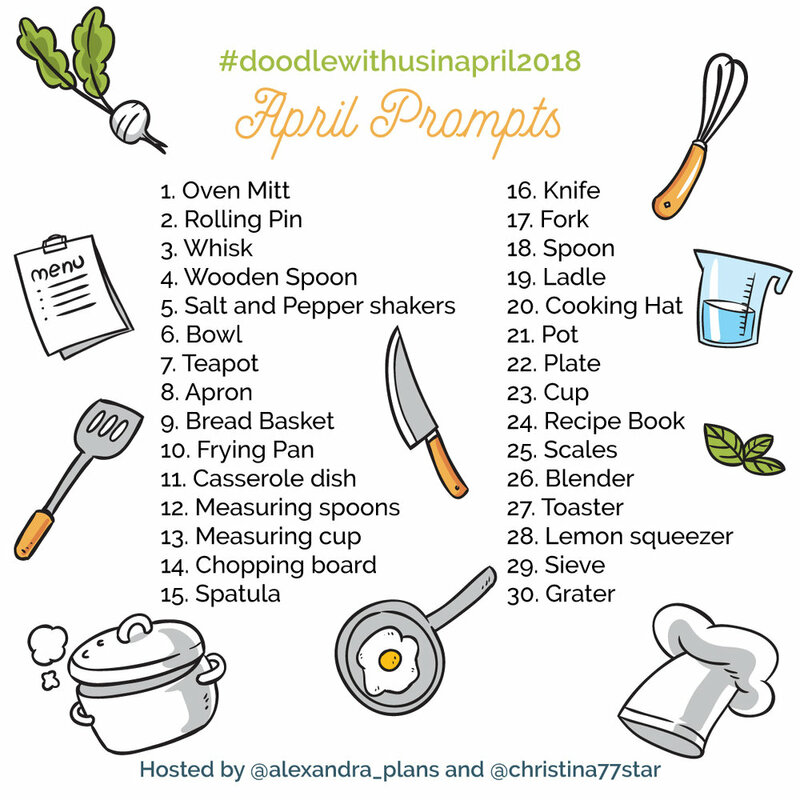 Don't forget to add the hashtag #doodlewithusinapril2018 and spread the word. We're excited to see what you'll share!